The world thinks of Australia as an island nation, but with a land mass of almost 8 million square kilometres and climate that is mostly hot and dry, we highly value our water. Many homes are equipped with both a water tank and swimming pool, to make the most of this precious resource. We also have regulatory authorities that govern swimming pools. SPASA (Swimming Pool & Spa Association) works with local authorities to govern everything from pool location to safety and water conservations. The requirements are detailed and meticulous, ensuring the protection of swimmers and natural resources. Per these regulations, pools are built to maintain environmental standards and avoid wastage. Minimising water usage in your swimming pool allows you to protect our natural surroundings and conserve a finite natural treasure. They also help you lower your utility bills by reducing the amount of water and electricity you use to maintain your pool. This, in turn, helps to enhance the longevity of your pool or spa. 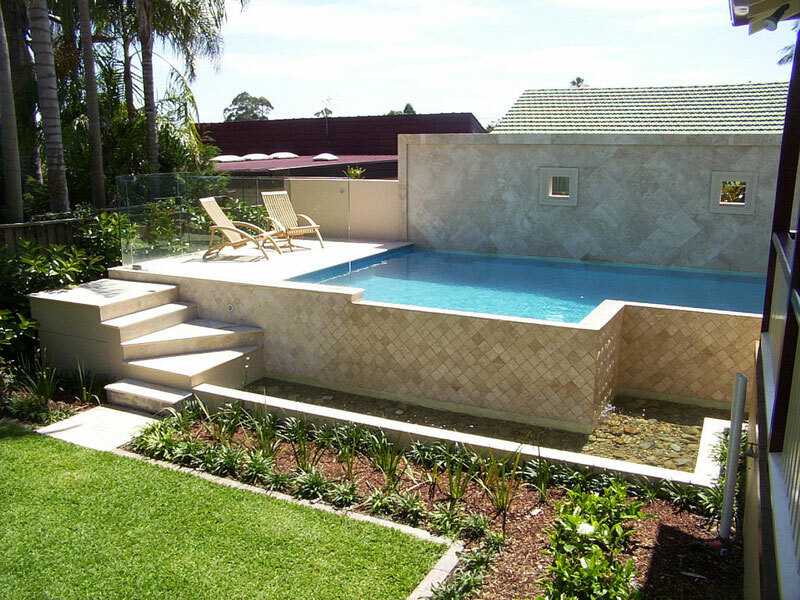 An essential step in water conservation is to get the right swimming pool builder and designer. Blue Haven has been in business since 1973, and we have perfected our methods specifically to use less water, both while constructing and using the pool. Most pools use 22,000 litres to 60,000 litres of water. As you use your pool, you lose water through evaporation, splashing, and filtering, so you occasionally need to refill it. A well-built pool incorporates filtering and recycling techniques that reduce the number of refills your pool needs. Maintaining the right pH for your pool reduces backwash and water loss through excessive filtration. These are suggested cleaning schedules for busy pools so that you can use these timings over Summer. During more idle seasons. You can reduce sand filter cleanings to once a month, while a cartridge filter can be attended to three or four times a year. Remember to run your filters for eight to ten hours a day in the Summer. Keep it on whenever the pool is in use. Sand filters and D.E. filters are cleaned through backwashing. This means you switch off the swimming pool pump then run the filter in reverse for a few minutes. For a sand filter, one cycle of one to two minutes will do, followed by a rinse cycle. Look through the glass viewing panel, and once the water is clear, you can run a rinse cycle then reset the filter. D.E. filters often need to be backwashed two or three times to clear the water. Backwash for two minutes then rinse for thirty seconds, repeating the process a few times. Once the water is clear, add some D.E powder to the filter to recharge it. Cartridge filters don’t need backwashing. They need to be taken apart instead. Individual sections of the filters are sprayed before re-assembling. Every year or two, have the cartridge professional inspected for damage from wear and tear. To find out more about our high-quality, environmentally friendly pools and spas, call Blue Haven Pools today on 13 20 25 or fill out our online form.